You guys might remember these Peanut Butter Protein Balls from the other day (I also posted them on Instagram), so I wanted to “officially” share the recipe on CNC. 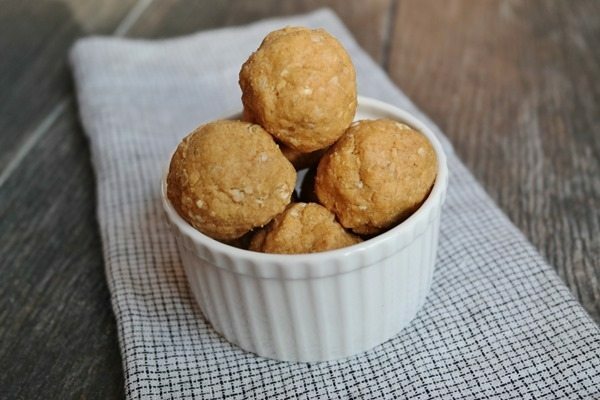 I mean, who doesn’t love no-bake protein balls? 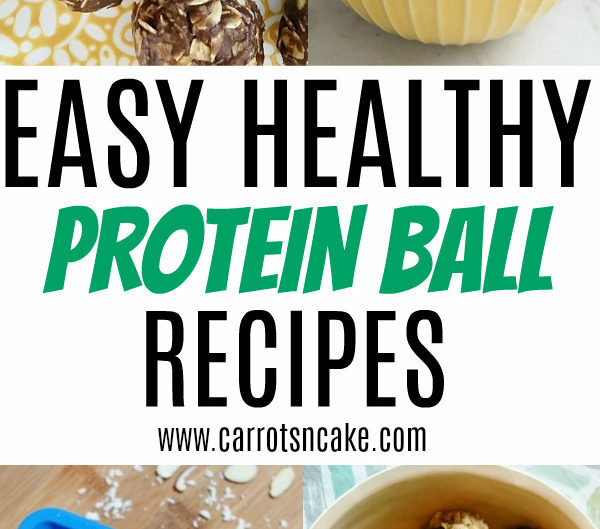 Personally, I love a good protein ball recipe – and don’t discriminate! I used to eat a lot of paleo protein balls, but I’ve since opened my diet up to a lot more variety when it comes to ingredients. 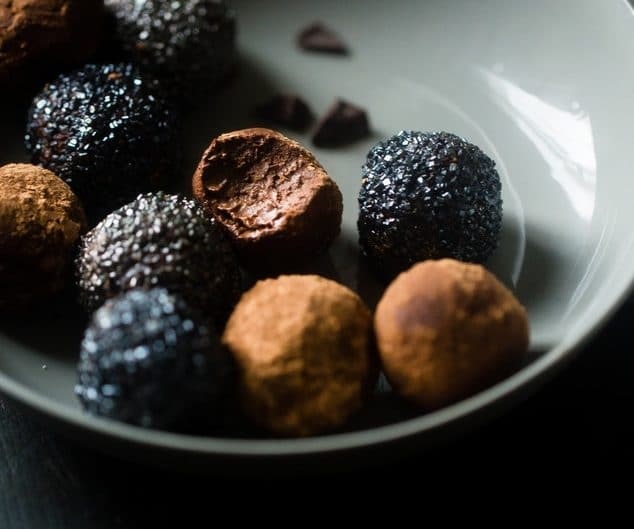 Basically, I pretty much love all protein ball creations – even a keto protein ball, if that’s a thing? All I know is that these Peanut Butter Protein Balls are really something special! In fact, these homemade protein balls are seriously the best, especially if you’re a peanut butter lover. In addition, they are so easy to make, and it doesn’t take more than 10 minutes to whip up a big batch of them. Furthermore, the recipe only calls for four ingredients – many of which you probably already have in your kitchen. 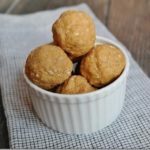 Typically, I make a batch of these Peanut Butter Protein Balls on Sunday and then snack on them all week long. I love eating them before + after workouts as well as as a sweet treat after dinner. In other words, they are definitely a go-to for me nowadays. I hope you enjoy them as much as I do! These will be your favorite quick & easy peanut buttery delicious snack to have on hand. Easy to throw together and store in the fridge or freezer for the perfect treat. Combine ingredients in a large bowl. (If batter is too dry, add more honey or a splash of water.) Roll and press batter into 1-inch balls. Store in the refrigerator in a plastic container for up to one week. These sound so good! Like a ball of peanut butter in disguise with some added carbs and protein! I’ve made some protein peanut butter balls very similar to these before. My fiance loves them! I love a good nut butter ball recipe! I do a variation on this all the time with whatever ingredients I have lying around. I just made these about an hour ago. Tasty! I only got 8 one inch balls though. Also they are 6 smart Points each for those doing WW. UGH!!! the little bastards add up! Hi Sarah. Did you calculate the points based on 12 per recipe or eight? Thanks! Hi. Did you calculate the points based on 12 per recipe or eight? Thanks! @Sarah: I made these also and came up with 4sp each. They are DELICIOUS!! I was able to get 11 balls, but i figured with the mess I made, the amount on the counter and the amount I washed off my hands that made up for the lost ball. I’ll have to try these w almond butter. I make my own every week bc I can’t stop eating it! 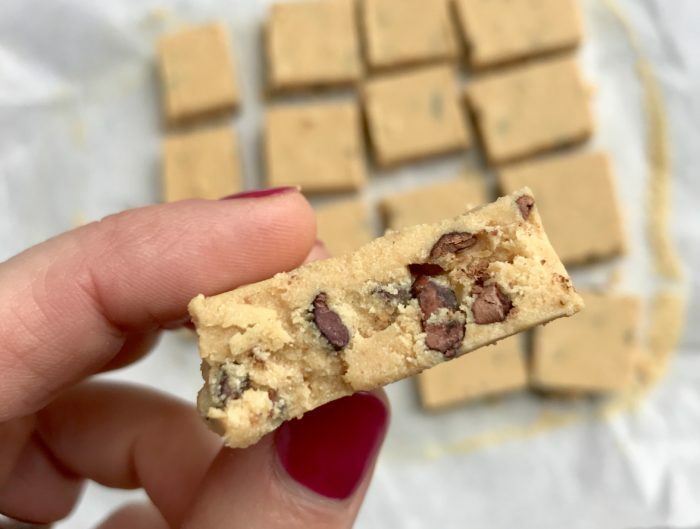 I just made a batch using almond butter and they are delicious! They are not quite as sweet, but I like that better. Any suggestions for alternatives to oatmeal? Wondering if using almond meal, flax etc would work and if yes, what measurements? Anyone have ideas? I tried this recipe but I used some maple syrup and some coconut oil instead of honey. These protein balls are delicious and very filling! I’ve been making these for years. They’re so good especially with a few nuts or chocolate chips thrown in! Yum! All of my favorite combos in one! I know you love Teddy’s but try making them with coconut peanut butter, it’s literally amazing! Do you know about how many grams of protein they have? They look great! When I entered the recipe into MyFitnessPal, they had a little over 100 calories and 7g of protein each. OMG, these sound delicious! And, just as important to me, really, really simple! Thank you for sharing your recipe. I bookmarked it and plan to make these this weekend! I am going to try this! I wonder if casein protein would work! I might just have to give that a try. Casein worked! Used it tonight and was delicious! Did you use protein powder while you were pregnant? I can’t decide how I feel about using it while I’m pregnant so I’ve avoided it so far but these look so good! 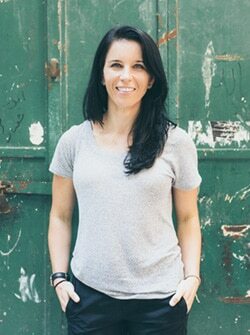 I used a plant based vegan protein powder while pregnant. Much easier on my tummy, and more digestible. You can also decrease the amount of protein powder, and use more oats! YUM! can’t wait to try these! Tina Gurl!! These are smack yo mama good!!! Just made them and are extremely delicious! !I’m cleaning up my diet tightening the belt so these little balls of heaven will be the perfect treat with coffee. So glad you like ’em!! I make something similar but add flaxseed meal and small dark chocolate chips. I add 1 tablespoon of honey and a few drops of pure liquid stevia. Chilling them is a must. Delicious! I will make these yummy treats today! 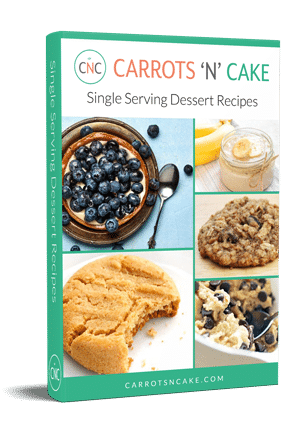 Hi, I’m trying this recipe out and thinking of sending a care package to my fiance about a day or two’s delivery away. How long would they last without refrigeration if they’re in an airtight container? Omg I can’t wait to try these! Do you think hemp protein powder would work in these? 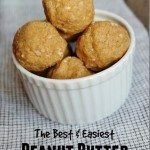 I love home made protein ball and usually make them with banana’s as the main ingredient, but this recipe with peanut butter looks so good – have to try it! It is looking tasty and i will surely try this at my home. Thank you so much for sharing this recipe with us. These look great! I make something similar, but put them in a pan to make bars, easier than rolling out each ball! I also melt the peanut butter in the microwave for just a bit to get it softer, then it’s easier to mix. Can’t wait to try this one! Thanks! These look so yummy! I found this link on Betty Rocker’s app and I can’t wait to eat them! I am going to throw in some dark chocolate chips for my chocolate needs. 🙂 Thanks for the recipe!